Proudly serving thousands of row crop and livestock producers across North America with the best agricultural accounting services since 1967. Our full suite of financial services includes accounting, consulting, tax, and education. Representing more than one million acres throughout North America for nearly 50 years, AgriSolutions works to keep families on the farm by providing exceptional financial services to agricultural producers, helping them be more effective business managers. We offer multiple levels of agricultural accounting services to ensure you have real-time information necessary to run your farm. We’re trained to identify, measure, analyze, and interpret financial information in order to help you most effectively manage your business. Our tax pros understand the sophistication of farm businesses and work alongside you to help you navigate through its complexities. We offer comprehensive training, specificallly designed for agricultural producers looking to proactively take charge of their business. 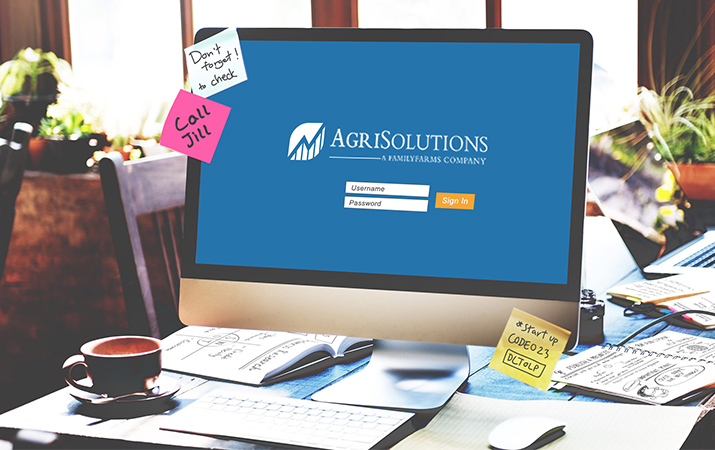 AgriSolutions’ own AgManager® software is the leader in powerful, cloud-based business management accounting programs specifically tailored to the unique demands of agricultural producers. Since 1967, we’ve stood by agricultural producers, helping them obtain, understand, and use accurate financial data with comprehensive agricultural financial management services. We encourage you to learn how a partnership can help you gain confidence in gathering, understanding, and interpreting your own financial data.